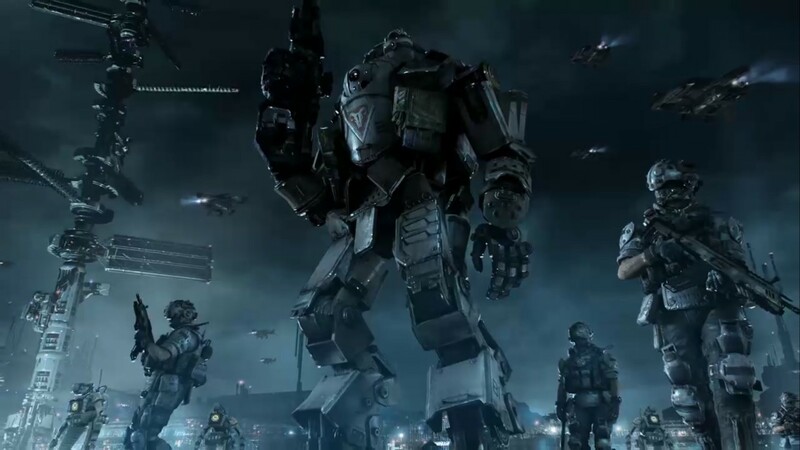 Titanfall is an online action sci-fi first-person shooter with giant mechs called Titans developed by Respawn Entertainment. It is available on the Xbox One, Xbox 360 and on PC. Humans have left Earth and now live deep in space, in a huge area known as the Frontier. 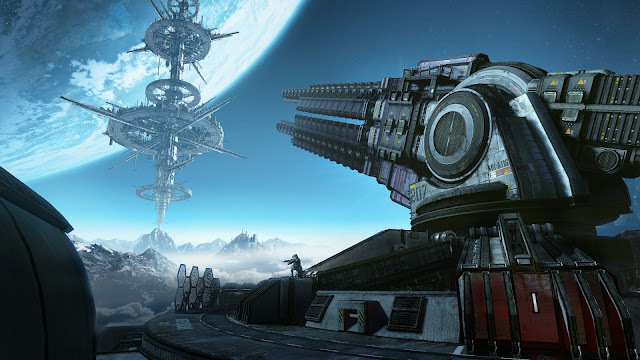 There are two factions called the IMC (Interstellar Manufacturing Company) and the Militia. Massive mechanical humanoid machines called Titans are used in everyday life for heavy lifting, construction and combat. The story is mostly in the background in maps and through the radio chat, you are never outright told what the plot is or why you're fighting the enemy faction. 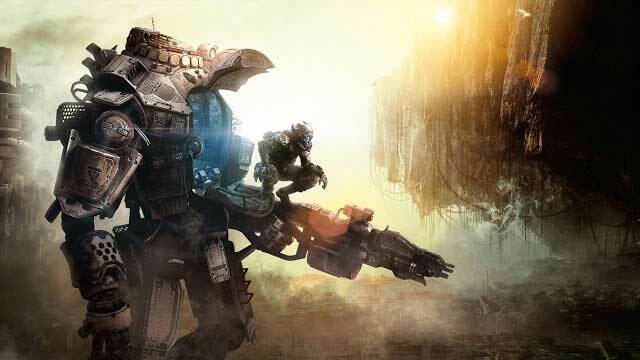 Titanfall has no campaign and is an online only shooter game, as a result there is barely any room for story. It's present, but mostly hidden in the background and must be actively searched for. This is one of Titanfall's weaknesses because the maps are very interesting looking and many people would like an explanation for things present throughout the game. Gameplay is pretty much all that this game has, there is nothing else besides playing matches online. You play as a type of supersoldier called a Pilot. Pilots are fitted with high-tech exoskeletons that significantly boost their strength, endurance, agility and speed far beyond the limits of normal soldiers. Their exoskeleton suits allow them to fall from any height and take no damage, run horizontally across walls and also to double jump by boosting mid-air. Pilots are extremely fast and fun to play because they make you play the game unlike any other shooter. As you get better at the game, you will barely touch the ground when playing a match. Pilots gain momentum and become fatser and faster as long as they are uninterrupted when running across surfaces. Pilot vs Pilot fights are done in the sky and on walls high up in the air, it's so much fun. Fighting titans as a pilot can be thrilling as you need to make full use of your insane parkour abilities to dodge and duck through open windows, over rooftops and across walls to preposition yourself when a titan spots you. Pilots have two weapon types, the anti-pilot weapons which are just standard guns and then the anti-titan weapons which are much bulkier and take longer to fire. As a pilot you can jump on the back of an enemy titan, rip open a hatch on its back to reveal circuitry and then open fire on the innards, dealing large amounts of damage. 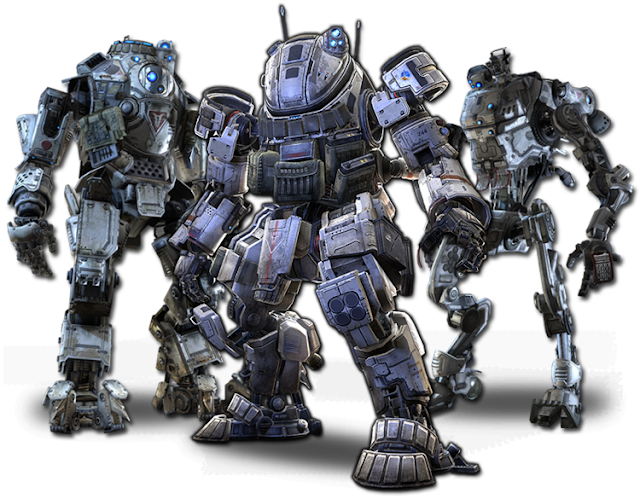 Titans come in 3 classes which are Heavy, Medium and Light weights. Weight classes have different specialties and agility. Every player eventually gets a titan each game as the counter in the middle of the screen slowly fills up to 100%. Getting kills on grunts, players or scoring titan kills help help you get your titan faster. When you finally do call in for titanfall, you get a radio message telling you to "stand by for Titanfall" followed by a rippling burning noise coming from the sky, if you look up you can see the titan speeding down towards the ground while leaving a trail of fire and smoke behind it as it burns through the atmosphere at incredible speeds and then slam in to the ground, killing any grunts, pilots or titans caught beneath. Titans are a ton of fun to play, they're strong, gigantic and the guns they use look as if they belong on a vehicle. Titans can annihilate pilots with 1 shot from most guns. it's so satisfying to shoot a pilot jumping across your screen and watching them explode as you fire a single shot, that would barely scratch an enem titan, and see their bodies explode. Anyone caught under the feet of your titan will instantly die also, you usually end up killing grunts without even noticing they were there in the first place. You are not locked in to your titan once you get it, you are free to disembark at any time, which will put your titan in to auti-pilot mode and allow it to shoot at anything it can see automatically. If a titan spots a pilot, this will likely happen. An anti-pilot ability that releases a huge cloud of electrified smoke around your titan, which kills any grunt or pilot caught within. 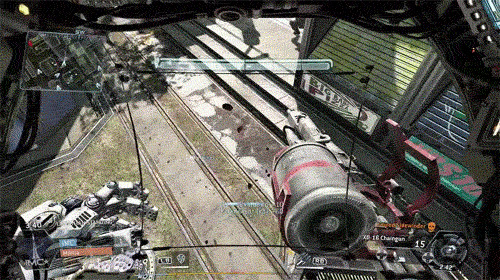 This is very useful for then an enemy pilot climbs on to the back of your titan and attempts to shoot at you. It means you don't have to get out of your titan and deal with them yourself. My favourite ability, your titan puts up one hand and a barrier appears in front of you, catching any projectile fired at you and making it float in your shield. When the shield is turned off, you fire back every projectile you caught which deals full damage to whatever you aim them at. When things get dire and your titan's health and force field are depleted, you gain a new health bar that runs out very quickly. You have the choice to eject in to the sky and allow your titan's nuclear core to explode and kill anything caught in the blast. Self destruct and Vortex shield in action. Titans can dash in all directions, which gives them a quick burst of speed that can help them escape a fight or chase down an enemy. Lighter titan loadouts have more dash charges. There are a few different types of rockets that can blanket an area or track targets. These are quite fun to use and can deal massive damage if they hit. A stationary shield wall that absorbs incoming damage. Good to hide behind and shoot at enemies. When your titan has managed to stay alive for a long time during a match, your damage core comes online. This is an ability that increases your titan's damage when activated for a short time. The only issue with the gameplay is that there isn't enough of it. 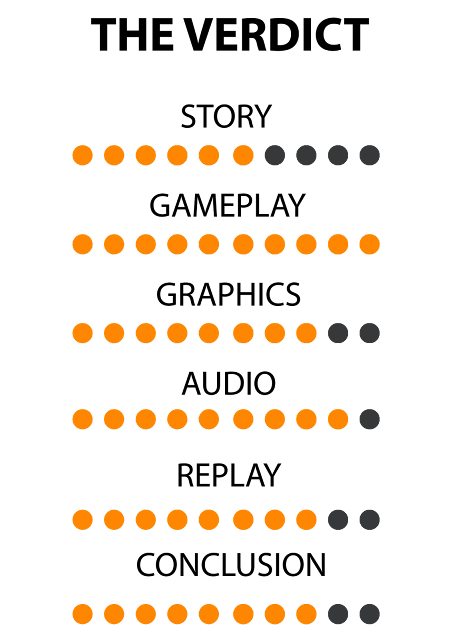 Many players will likely get bored after a few days or doing nothing but playing multiplayer. The graphics in Titanfall are good, but not spectacular. This barely matters because the maps look incredible because they have massive objects or events taking place in the distance that you can watch. Titans look as if they are made from salvaged metal and have a bulky, weighty appearance. Massive backdrops help to make you feel tiny, even when inside a titan. Animations are very enjoyable to watch as every movement you make as a pilot looks convincing and fluid. Titans are no different as every movement they make looks as if it has massive weight to it. Guns have large recoil, just like the gun on a tank would which makes the weapons look powerful and extremely deadly. Even the guns that fire the smallest rounds look powerful. When climbing in to a titan, depending on the angle you approach at, your titan will turn, grab you and place you in to the cockpit while the hatch closes and the UI flickers on to the screen which looks fantastic. When a titan does a melee attack to a heavily damaged titan's cockpit, its fist will go through the front of the cockpit and tear the pilot from their seat and then squish or throw them, killing them in a hilariously nonchalant animation that shows just how powerless a pilot is against a titan. The sound design is great in this game, the sound effects on titan guns are similar to the noises heavy artillery guns make when fired, which makes the guns feel so satisfying to fire. The sound effect of titans falling through the atmosphere is convincing and adds to the anticipation of the massive thump when the titan finally lands. Music isn't particularly memorable, but the voice lines for the grunts are surprisingly well written. Groups of grunts will talk to each other when not fighting, usually have pretty deep conversations with some really well written lines that can make you feel kind of sorry for blowing them up. On PC, the sound files were uncompressed in order to increase performance. Most computers with less than great specs can run this game surprisingly well as a result, although this increases the game's file size to 50gb and is stored across 3 discs. You can't really replay this game because it never ends. You can continue to rank up in multiplayer matches, unlock guns, abilities and skins, or continue to play so you can become a better player and have more fun. After about 10 hours you have likely seen most of what the game has to offer. Thankfully the gameplay is constantly fun with no downtime. Despite having no single player campaign or offline features, this game is extremely fun. Most people will likely get bored with the game after a week or so. You can buy Titanfall cheaply now and there is still a small dedicated community that will make it easy to still find games. Verdict: 8/10. Very good game that looks and plays great, but unfortunately gets boring due to the lack of extra content.